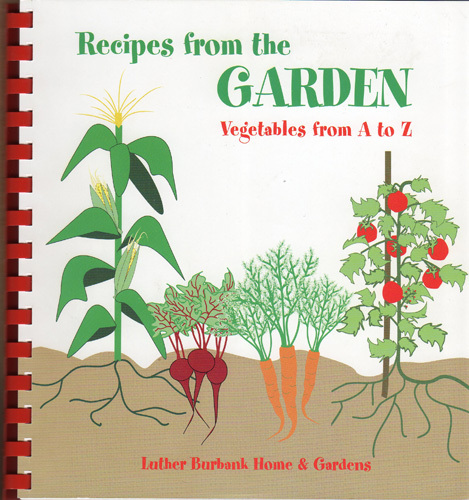 Recipes from the Garden: Vegetables from A to Z. 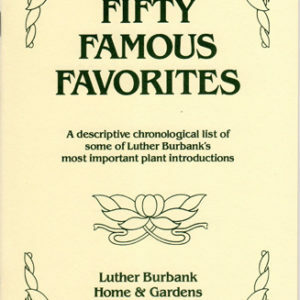 120 pages, softcover with binding, 8 x 8-1/2″. 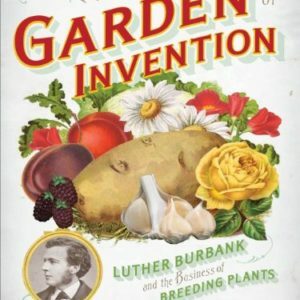 This cleverly illustrated cookbook features fresh vegetables, including many greens improved by Luther Burbank. Under-appreciated vegetables such as Brussels sprouts, kale and fennel are highlighted. Favorites like zucchini, potatoes and broccoli appear as appetizers, condiments, side dishes and main dishes. Tips on purchasing, storing and preparing vegetables are especially valuable. 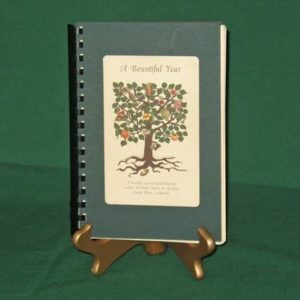 120 pages, softcover with binding, 8 x 8-1/2″.